The use of essential oils on massage therapy is the type of therapeutic massage that uses aromatherapy oils as a medium instead of light oil or lotion on the skin of the patient. These essential oils have various healing properties that when used adds up in boosting the healing recovery of the patient. They also affect the emotional status of the patient and are commonly used to maneuver the mood for a healthy emotional condition. The different types of essential oils are needed in calming, energizing, uplifting and decorating the body and emotion of the patient. These scented oils were used by the ancient people as their primary healing method for a long time. Today, we use them not only as medicines but also as natural sedatives which help a lot especially after a stress out week from work. Aside from being a medium for a massage therapy, applying essential oils on the skin of the patient is also claimed to have healing effects on wounds as well as improve the health of the skin and hair. It is said that the skin absorbs the oil naturally without any negative effect at all although these are highly volatile and concentrated in nature. These extracts are taken out from herbal plants using the process of steam distillation, cold processing, and water dilation. Perhaps you wonder how these scented oils work wonders on a patient’s body, it is due to the process of the brain receiving messages transmitted by the nostril through the limbic system telling it what scented molecules are gathered from the air. These then passes from the brain to the other vital parts of the body which in return results to positive effects such as influencing the nervous system and hormones to work properly. Good health and a stress free feeling will then be expected after an aromatherapy massage experience. Before an aromatherapy massage session, you have the option to choose your preferred essential oils to be used on you during the therapeutic massage treatment. You can play with your choices which are both fun and educational as you will know what their healing properties are and on which essential oils they can be combined perfectly. Aromatherapy massage is used on many variety of condition which includes stress, bruises, allergies, diarrhea, burns, headache, insomnia, colds, flu, sprains, wounds (never on open wounds) and many more. The essential oils are very promising in healing such conditions. 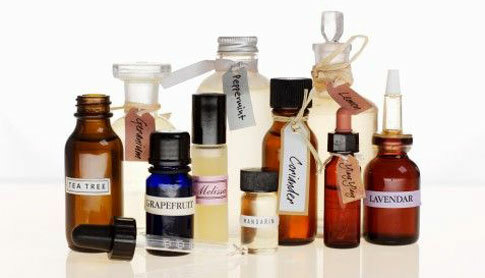 What more if you add the benefits you get from having a good massage therapy with these healing booster scented oils. If you are on a tight budget or schedule that doesn’t allow you or give you the liberty to have an aromatherapy massage at the spa, there’s no need to get upset as you can always do it at home. There are many essential oils available in the market and the only thing that is left for you to do is to know which ones are practical and beneficial to your lifestyle. Don’t use synthetic oils as they are not natural like the essential oils.